UK-based house and dub-house producer, remixer, DJ and journalist whose style utilises dub-reggae effects and slow-mo beats. He was also a key player in the UK trip-hop scene in the 90s. As well as remixing a considerable string of artists including New Order, The Orb, Future Sound Of London, Espiritu, James and Manic Street Preachers, he produced Primal Scream's landmark "Screamadelica" album. His aliases and other acts include Sabres Of Paradise with Jagz Kooner and Gary Burns (SOP released the epic Cafe Del Mar track "Smokebelch" in 1993) and Two Lone Swordsmen, both signed to Warp. 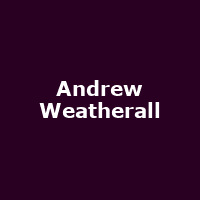 He released his debut solo album, "Nine" in 2001, followed by: "Machine Funk Specialists 1 and 2" (2002), "Fabric 19", "From the Bunker" (both 2004), "Sci Fi Lo Fi 1" (2007), "Andrew Weatherall Vs The Boardroom" (2008), "A Pox on the Pioneers" (2009), "Andrew Weatherall Vs The Boardroom Volume 2" (2009), "Masterpiece" (2012), "Ruled by Passion, Destroyed by Lust" (as "The Asphodells" - 2013), "The Phoenix Suburb (and Other Stories)" (as "The Woodleigh Research Facility" - 2016), "Covenanza", "Consolamentum (both 2016) and 2017's: "Qualia".